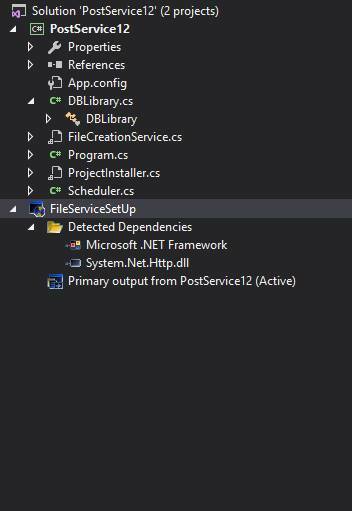 In this article we will see how to create a windows service and write certain data in a notepad with database connection. For this let know about windows ser first. 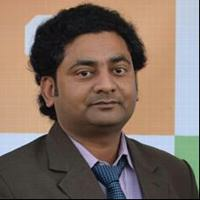 In Windows NT operating systems, windows service is a computer program that operates in the background. It is similar in a concept to a Unix daemon. A Windows service must confirm to the interface rules and protocols of the Service Control Manager, the component responsible for managing the Windows services. Now let’s create a windows service. 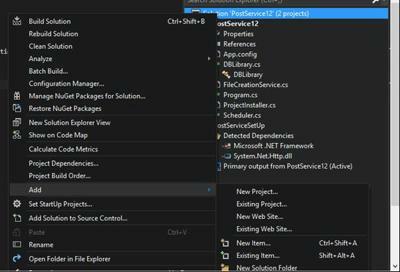 Navigate to Visual C# in the left side of Visual Studio Templates >> Windows >> Classic Desktop. Choose windows service and provide a suitable name to the project. Now let’s rename the service1 to FileCreationService. Now click on”Click here to switch to view”in the FileCreationService and it will show us the code written in it. Go to FileCreationService in Solution Explorer. Now Right click on serviceInstaller1. 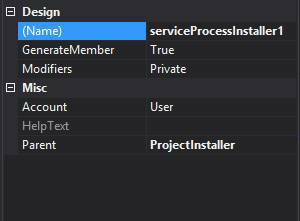 Now go to properties of serviceProcessInstaller1. Change the Account to Local System. We haven’t install our service yet. To install as a windows service we will install Visual Studio Installer. There is another way too but its little bit complicated. I find this way simpler to use. Now go to https://marketplace.visualstudio.com/items?itemName=VisualStudioClient.MicrosoftVisualStudio2017InstallerProjects and download the visual studio installer and install it closing the Visual Studio. 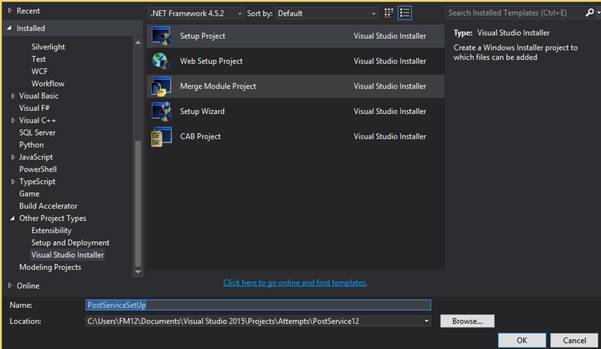 After installing visual studio installer, again open our project. 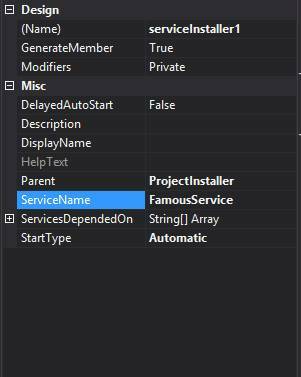 Other Project Types >> Visual Studio Installer >> Setup Project. 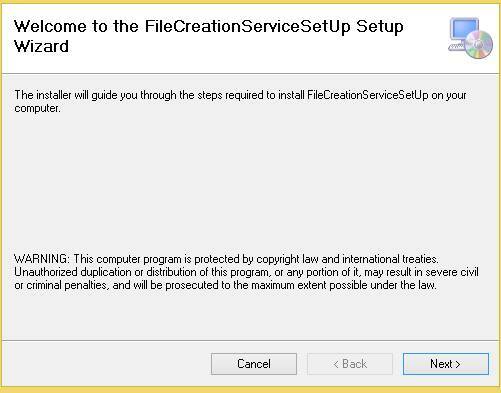 Right click on FileCreationServiceSetup and Add >> Project Output >> Primary Output >> Click on OK.
Again right click on FileCreationServiceSetup >>View >> Custom Actions. Now Right click on Install folder >> Add Custom Actions >> Double click on OK.
Now build the application . 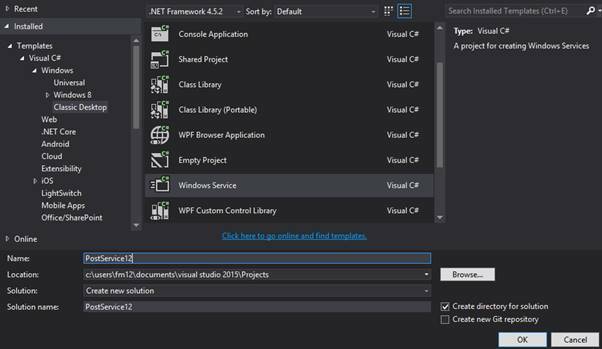 To build the solution we can right click in the solution and build the solution or click on build on the top of the Visual Studio and click on Build Solution or just press Ctrl +shift + B. After building the solution now we need to build our Setup Project. Right click on the PostServiceSetup..
Click Next >> Choose Everyone >> Next >> Next >> Close. And see if our service exists there or not. We had provided FamousService as a name of our service. And as you can see there exists our service. Its on Automatic in Startup Type as we had defined. Right click on the service and start the service to check whether there is problem or not. Service should start successfully. If not then you’ve probably missed some above steps.